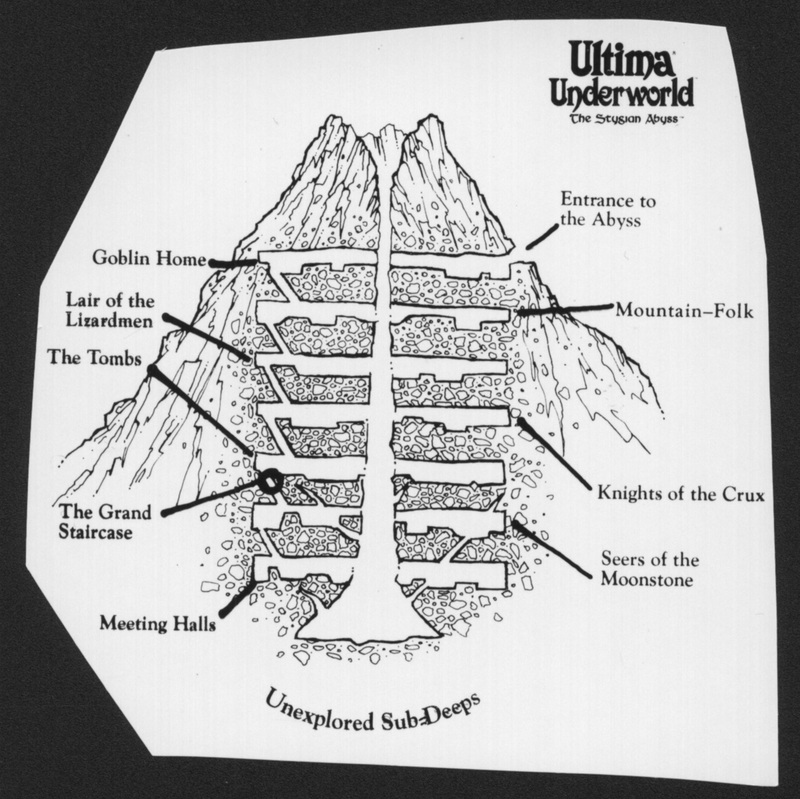 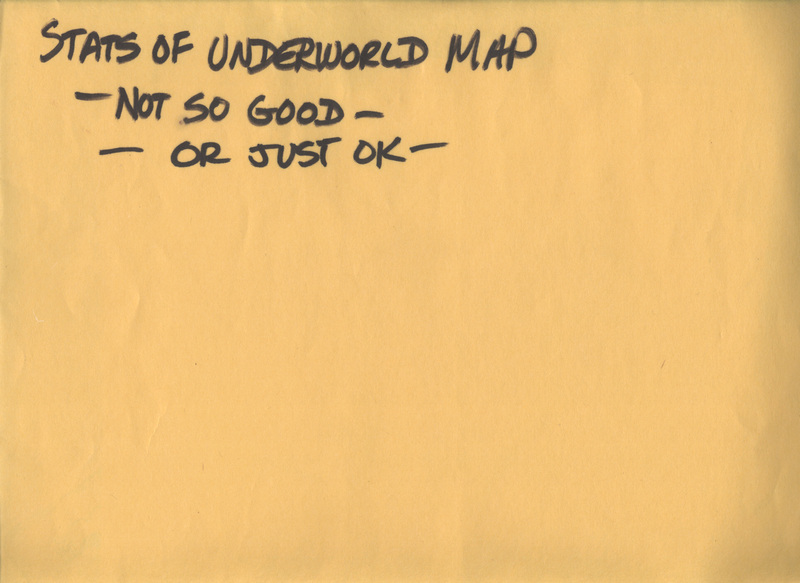 This is another envelope’s worth of content from the Ultima Underworld design documents I acquired last month. 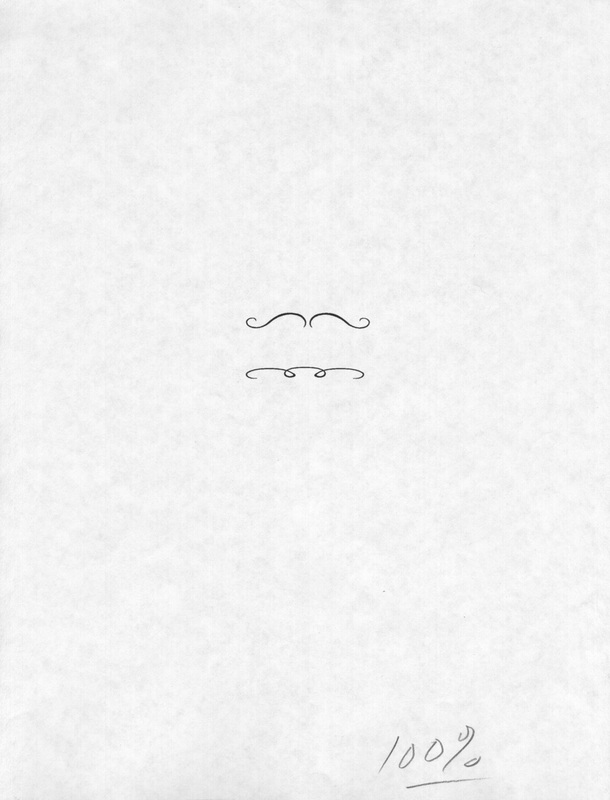 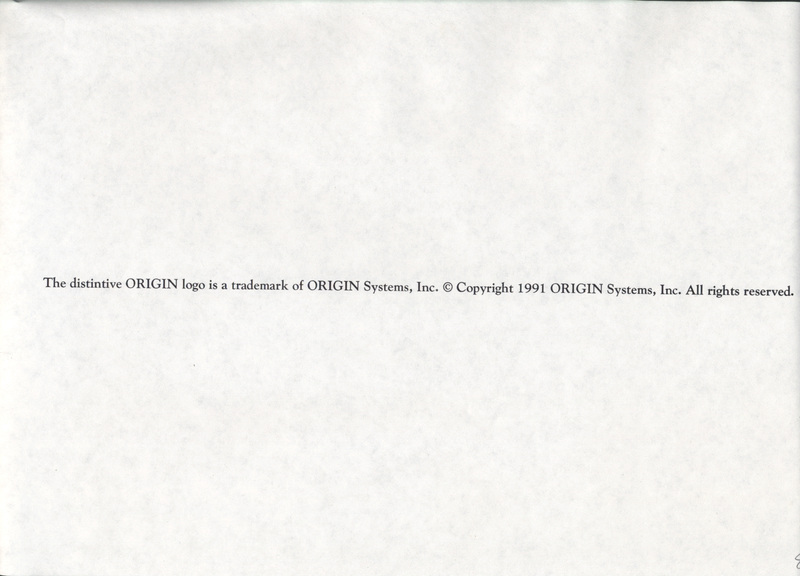 I can’t profess to knowing much about the process back in the early 90’s, but it appears that design was still being largely done outside of computers by cutting out images and sticking them on top of each other. 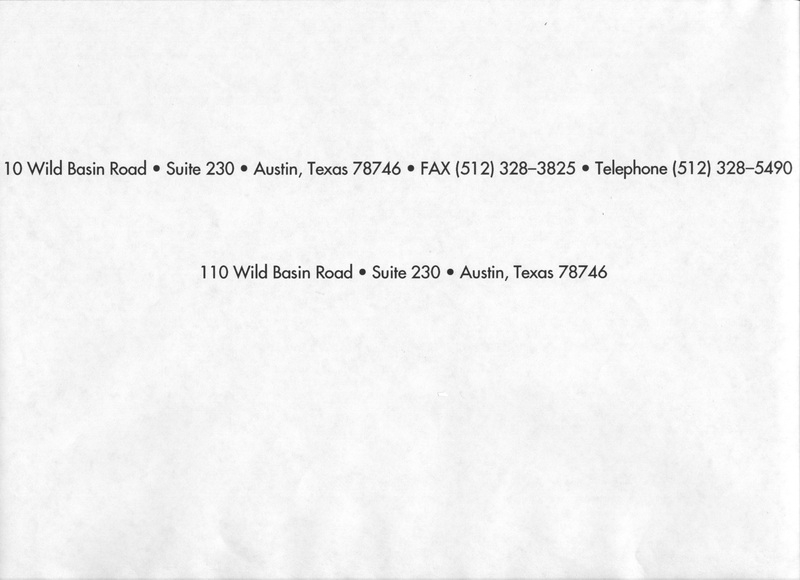 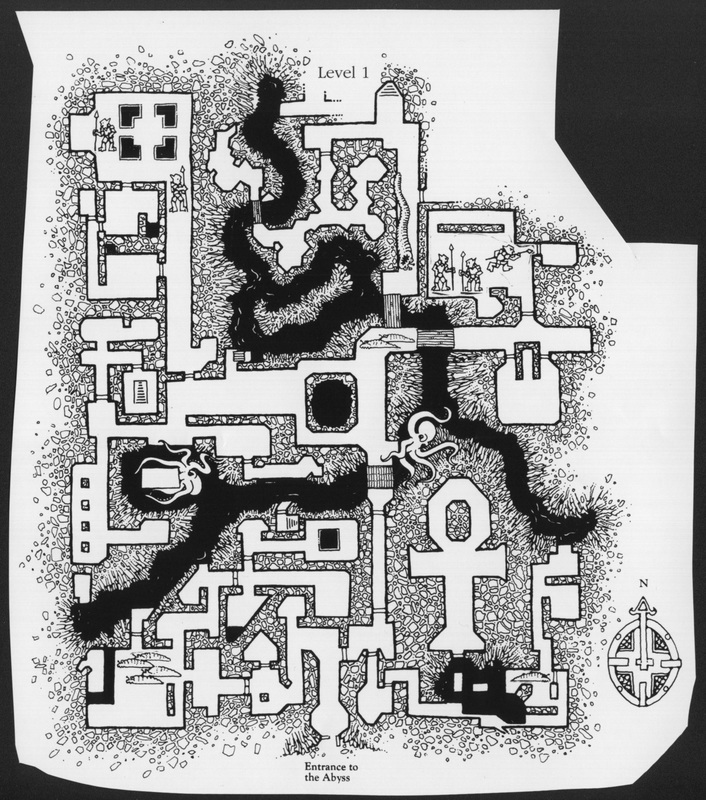 This is a group of such bits and pieces used during the design of the paper map included with the game. 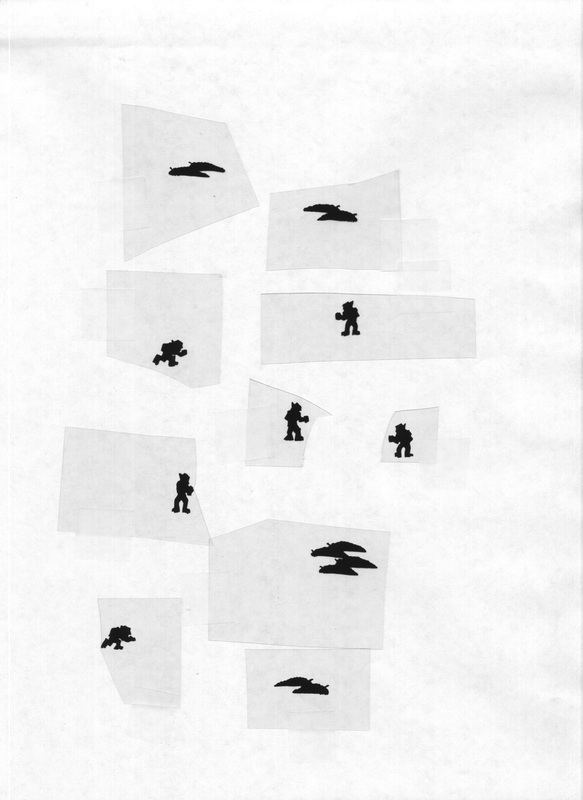 My personal favourite is the transparencies of all the creatures. 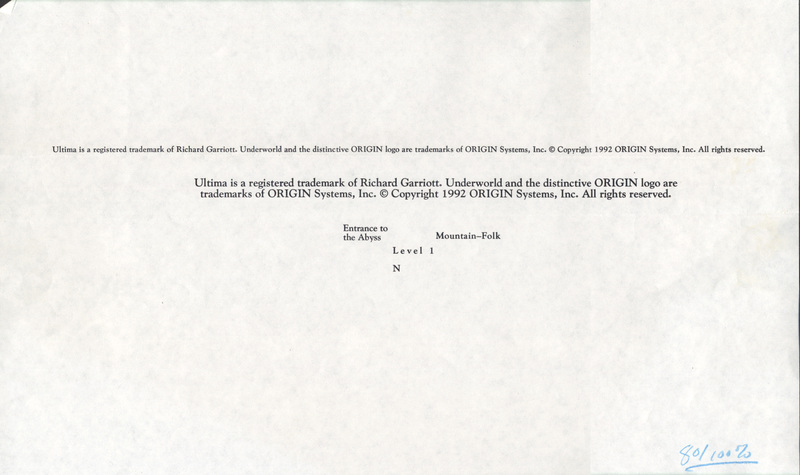 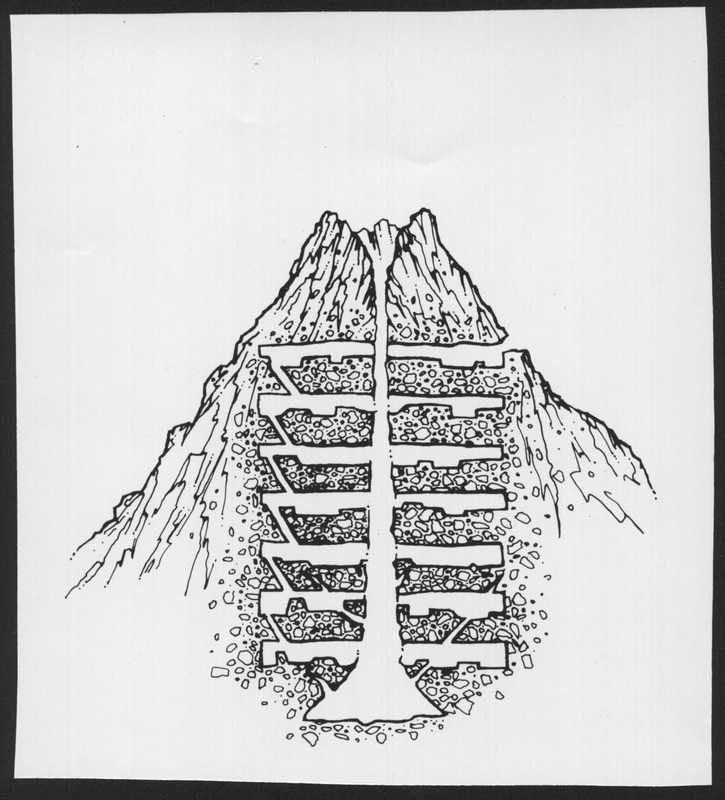 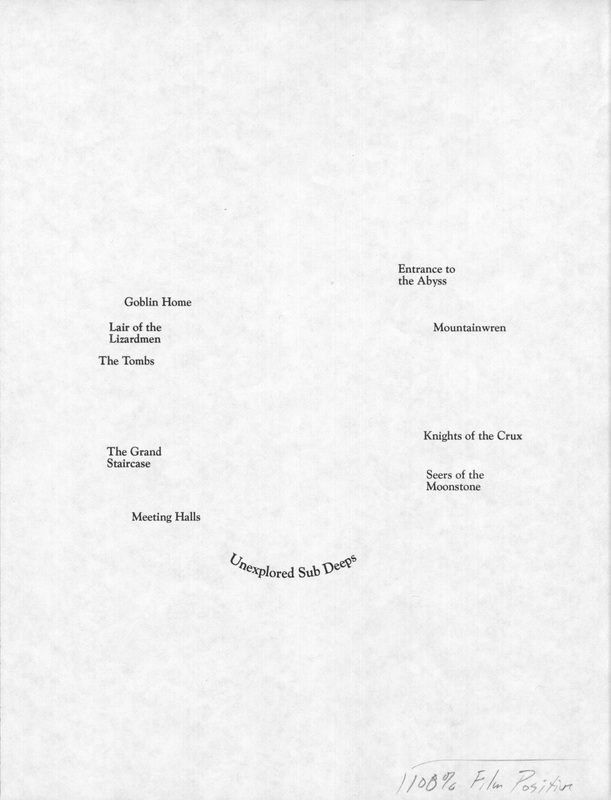 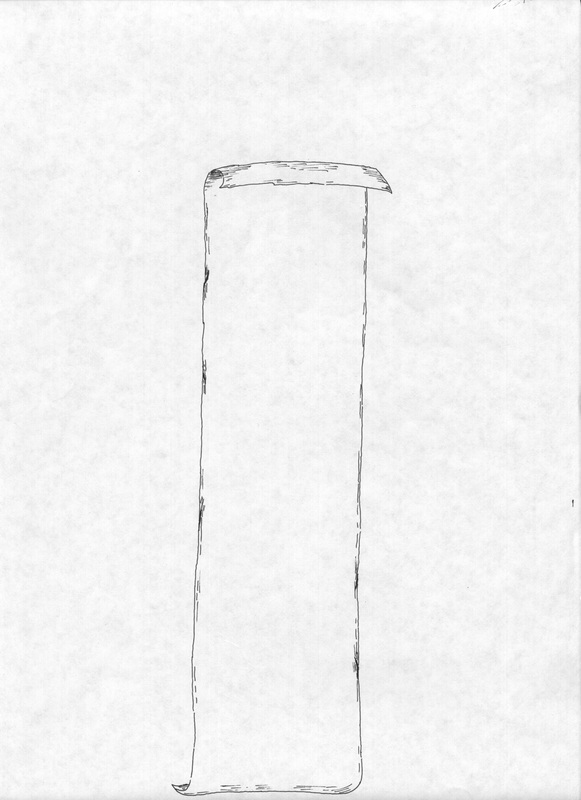 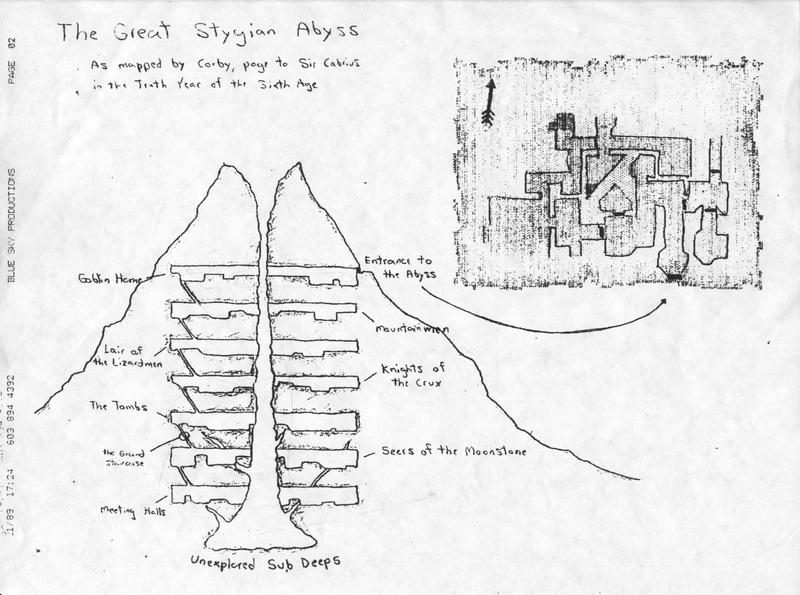 Also of particular interest is a fax of an early layout with a larger map of the overall abyss, and only a small section of Level 1 shown in the top right.